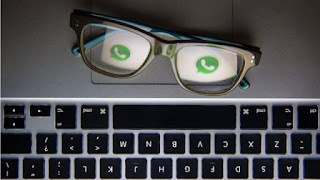 Although the roulette of the news does not stop spinning, offering us interesting functions such as deleting sent messages or sending our location in real time , some of us still make use of the controversial WhatsApp states. No, we are not talking about the status phrase, but about those short videos that we can upload to the app to brighten the existence of our contacts . First of all, remember that you can configure them so that, for example, certain people see them or simply exclude the plumber and your cousin from Cuenca , who is very gossip. If you are one of those people who use them, you will know that it is possible to see who has seen them and maybe even hopefully someone has done it and vice versa. Come on, what is usually known as the seduction ritual in WhatsApp times . But what happens if what we want is to avoid that tip-off that we have seen the state of another person? We want discretion to the fullest, we want to use WhatsApp as a ninja. Well then calm, because it is also possible to do it. In fact, the trick is quite simple: we only have to go to Settings > Account > Rpivacy and deactivate the Reading Confirmations , that is, the famous double blue reading tick. Of course, at the cost of a great inconvenience: from this moment, nobody will know that you have seen their WhatsApp states, but in return you will not know who has seen yours. Can you stand it? It is clear that we will have to assess whether it is worth it or not. In my case, few people around me use them, but I do not usually like them to control when I read the messages, so I am clear that this option is disabled. I do not believe in the double blue tick, it does not bring more than dislikes .